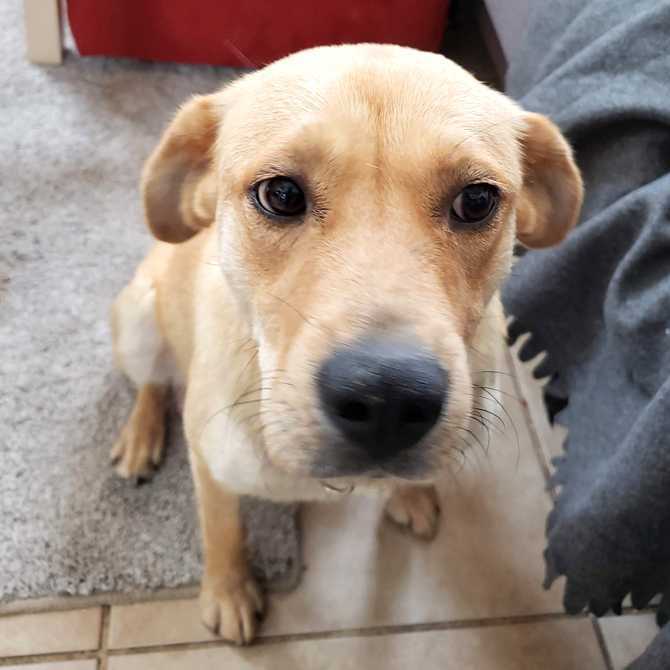 This gorgeous yellow lab mix mama is about 2 years old, weighing 40 pounds. She recently had puppies and has been working hard to keep them healthy and happy! She has been the perfect care taker with a calm and loving personality. Her puppies will soon be available to find their forever homes and it is time for mama to be pampered and loved by a family of her own. Are you ready to add Ms. Mama Mia to your pack?